What is the advantage in offering Grammar and All Ability Pathways in one College? The advantage is choice, pace and challenge. Not all young people are able to decide if an academic Grammar route is definitely for them at age 11 and some young people do not academically mature until later than Primary 7. 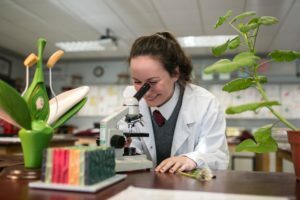 Ulidia’s Pathways ensure that no matter what abilities or needs a child has, options are kept open throughout their education where possible. We tailor the learning to the pupil, and as they grow and explore possible career paths, we offer the best chance of attaining the most appropriate qualifications, to open the right doors, to achieving their ambitions. Is the Grammar Pathway right for my child? Is the All Ability Pathway right for my child? If you would like to discuss your child’s Educational Needs, please contact either the College SENCO (Special Educational Needs Coordinator) Mrs. Doig to arrange an appointment, or contact the Principal’s Secretary to arrange a meeting with the Principal. Why ‘Grammar’ and ‘All Ability’ pathways? The word ‘Grammar’ can be misconstrued– in some other schools it is called ‘Advanced Placement Classes’, or ‘Gifted and Talented’ programme, or ‘Higher Sets’. 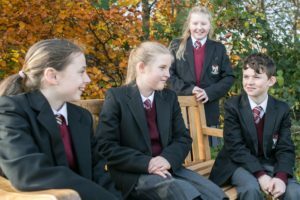 In Ulidia it simply means an option for pupils who thrive in a learning environment of pace and challenge. 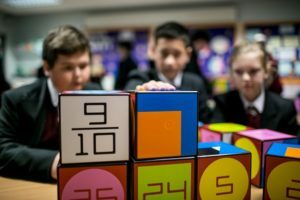 ‘All Ability’ means exactly that – an option for pupils who thrive in a learning environment with a wide variety of levels of pace and challenge. Pupils are individuals; one Pathway does not suit all. Do pupils who sat AQE have preference? No. Parents can use any robust form of academic results to indicate a preference for Grammar Pathway but scores are not used in admission criteria. Applying for the Grammar Pathway is a ‘zero’ score in terms of rank order – it gives absolutely no preference. A pupil with a score of 105 for example has no advantage over a pupil who scores 90. When will I know which Pathway my child will begin on? We will inform parents in the July prior to admission which Pathway their child will begin on. Following admission, we bring the pupils into Ulidia in June and begin the induction process, part of which will be testing to see which Pathway might suit best. We will use internal data such as the MidYIS test to place successful applicants into two Pathways. It is important to note that just because a child begins on a Pathway, it does not mean they have to stay on it. We try to find the best learning environment for each child. Where can I find out more information about the Grammar Pathway or All Ability Pathway? No. We are fully recognising that all pupils are individuals and tailoring lessons to ensure all pupils meet their highest potential. Segregating is an emotive word that is not reflective of what we are trying to achieve. Are you allowing all pupils to integrate wholly with their entire year group? Yes. In years 8-10, Form class, Art, PE, LLW, RE and Drama will be taught in completely mixed ability groups. 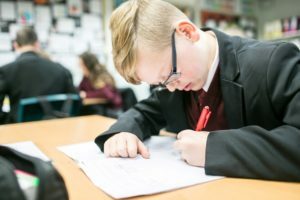 Pupils are then taught in their Grammar or All Ability Pathways (as they would be at GCSE) in English, Maths, Science, Technology, Geography, History, ICT, Languages, HE and Music. The classes are not streamed or ranked within each Pathway. Ulidia’s results have always been high – why start streaming now? We are not streaming. We have two broad Pathways, and classes within each are not streamed. The Grammar and All Ability Pathways are designed to ensure that a teacher can focus on the individual needs of the pupils in front of them. 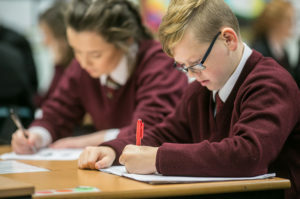 Ulidia has excelled in academic results and as the College grows, we are delighted that a wider range of pupils are accessing Integrated Education. This means a wider range of A levels, and University options for those who require pace and challenge. It also means a wider range of specific learning needs than ever before. All of these pupils deserve our best attention, and the two Pathways provide this. Does offering Grammar and All Ability Pathways undermine the Integrated Ethos of the College? No – it enhances it. You cannot claim to be an All Ability College and then refuse to provide the best possible opportunities for highly academic pupils as well as those who have significant educational needs. The idea of the two Pathways is about tailoring education to the aspirations of each individual young person. The current education system of dividing into separate schools, those who pass a test and those who do not, locks children on a fixed path. 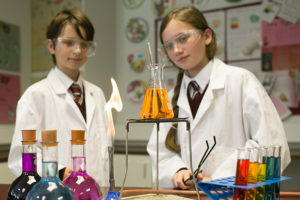 By offering both in one school we are allowing for fluidity and growth and development. We do not believe that a child of high academic ability should not have the opportunities to follow a vocational pathway if that is where their skills, passion and happiness lie. This is the only model that allows all young people continuing opportunities beyond primary school to learn in the way that best suits them as they develop.